Now available in more languages! 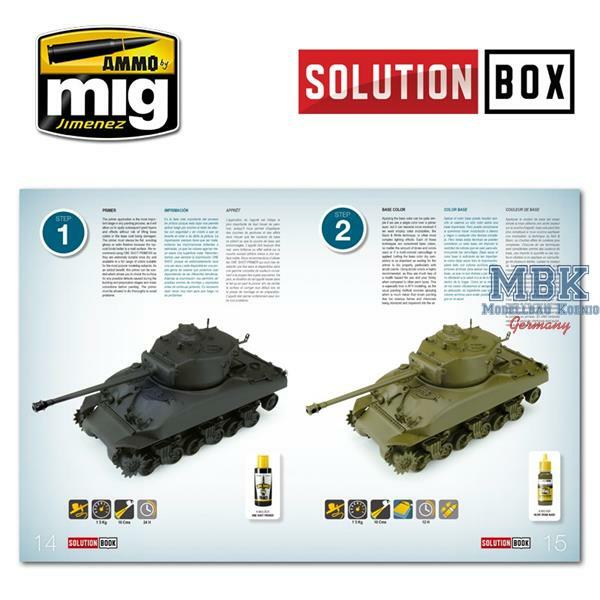 SOLUTION BOX is a comprehensive and complete system with which you will be able to carry out the entire painting and weathering process for your models. 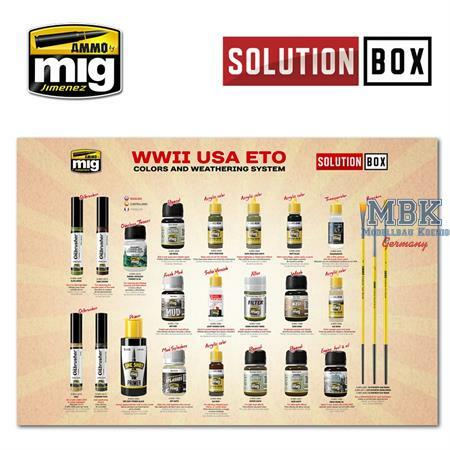 Everything from the application of primer and camouflage colors to the different painting and weathering effects, including filters, washes, general wear, highlights with oils, streaking, chipping, dust, earth, mud and even oil, grease and fuel stains. As you turn the pages of the comprehensive Solution Book included in the package, you will be able to follow each step in a simple and intuitive manner to apply the different products and effects. 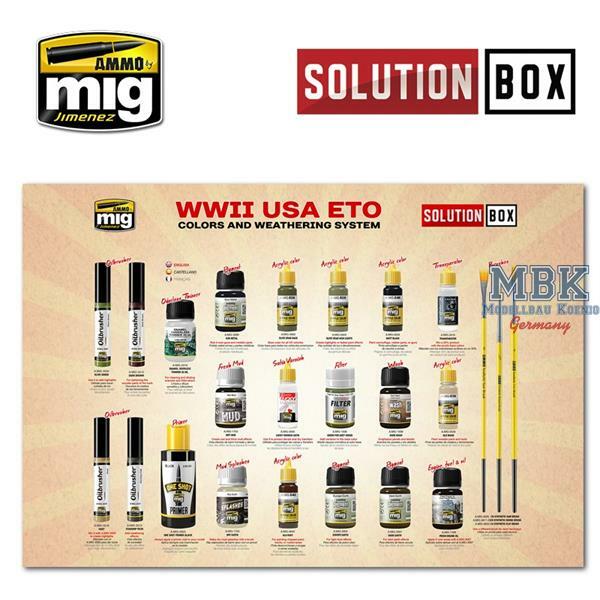 This brand new system includes all necessary paints, thinners and weathering products, all the brushes needed to paint WWI USA vehicles and, in addition, the simple guide Solution Book. This box includes everything needed except the model kit!!! A great idea and solution for every modeler that want to get initiated in modeling, or those that want to have everything they may need in an only box and forget about selecting the products one by one. 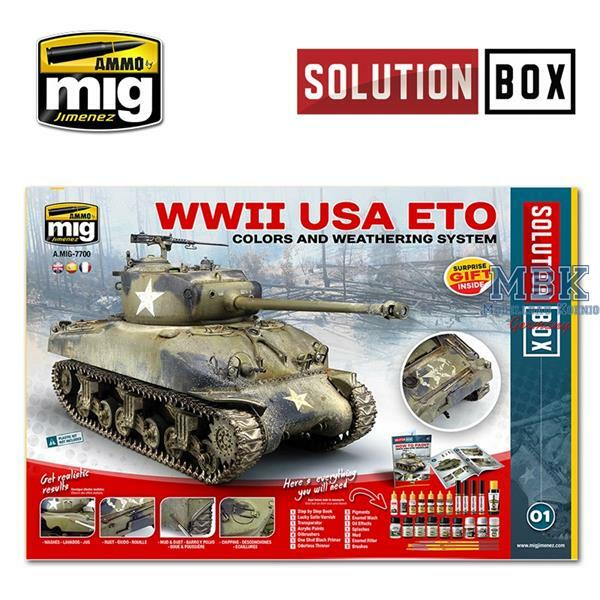 SOLUTION BOX WWII USA ETO offers you everything you need to paint and weather your models of WWII American vehicles in Europe. 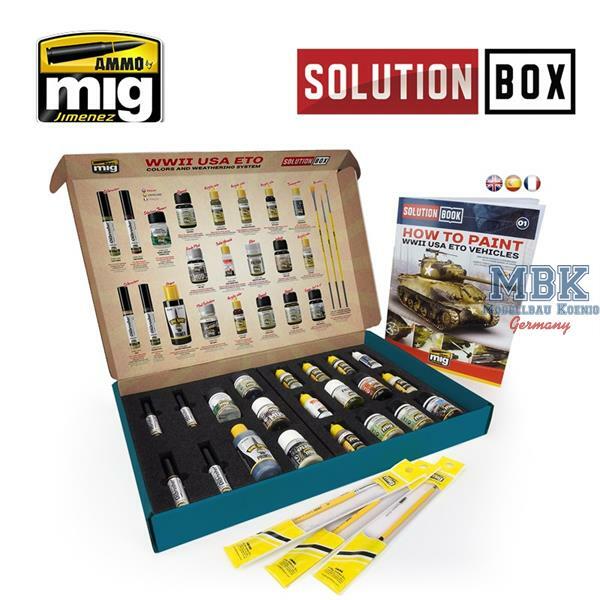 You will not only find the necessary paints, weathering products, and brushes, the valuable resource Solution Book is included as well. This complete 60-page guide explains step-by-step how to apply the different effects commonly seen on American vehicles operating in the European Theater during WWII. 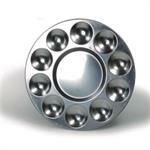 All the products shown are rather basic and the most adequate to recreate the effects shown. If you maintain the order of application and drying times stipulated, you will be rewarded with great results. 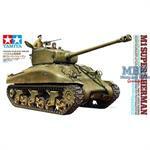 Now buckle up and enjoy the experience of being guided by the hand of a master modeler with a great price! It is a simple and basic guide intended to help any modeler to easily achieve similar results to those shown in every example. It doesn´t matter if they are a novice or a more seasoned and experienced modeler, by following the steps in this guide they will be able to obtain amazing results with very little effort. SOLUTION BOOK´s new design will allow you to follow each step in a very easy and intuitive manner without text by using a simple icon-based code that will show what to do at each step. 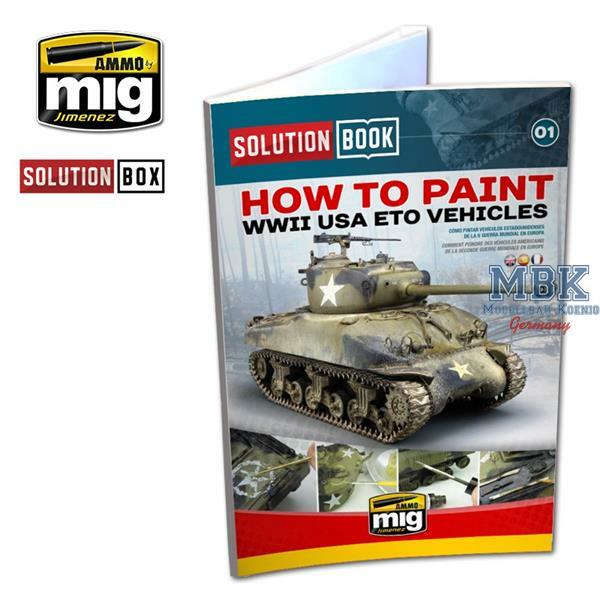 With this guide, you can paint any olive drab-colored vehicle that operated in Europe. 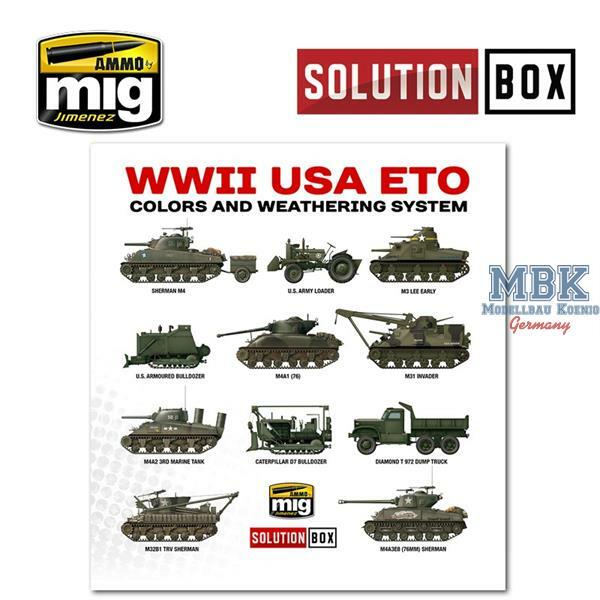 Although we have chosen an M4 Sherman tank as an example for this step-by-step guide, the same processes can be applied in exactly the same sequence and methods to any other US vehicle be it a truck, jeep, halftrack, or a tank or self-propelled gun. 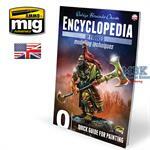 Now you just have to grab your favorite model and start painting without further delay! 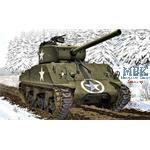 M4A3(76)W "Battle of the Bulge"